A wedding is a special occasion, and one that should create wonderful memories and signify a happy time in a couple’s life. No matter how carefully you plan them, there are many ways for weddings to go wrong and ultimately cost brides, grooms, and anyone who’s invested in a wedding a great deal of money. That’s why a wedding protection plan from HHM Insurors is a wise investment. It keeps your wedding expenditures secure, even if the wedding is compromised in some way. From weather interruption to lost dresses to damaged photos, there are a lot of things that can detract from the success of a wedding and ultimately result in unfortunate financial losses. Protecting one’s wedding can help diminish these losses and ensure that the investment in your special day is secure. As you can see from the above list, without a "Wedding Protector Plan", your Special Day might end up "Not So Special". 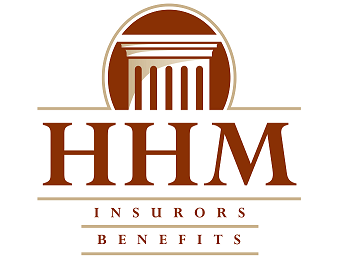 Be pro-active; let HHM Insurors help design a "Wedding Protector Plan" just for you! If you’re interested in knowing more, please contact an agent at HHM today. We can also get started with the policy development process if you request a quote. We’ll get back to you shortly with input about your coverage and other insurance plan information. HHM Insurors is proud to provide wedding insurance to couples and families in Moon Township, Pittsburgh, North Hills, Cranberry, South Hills, and throughout Allegheny County, PA. We also serve other areas in the state.